The Writing Bomb: Can You Hit #1 in Amazon's Free Store? Hitting #1 in anything is a good thing right? What about in the Amazon FREE store? And is there a difference between landing somewhere in the top 100 vs. hitting #1? Oh, yeah... big difference! Bigger pay off. More downloads. More reviews. More fans. 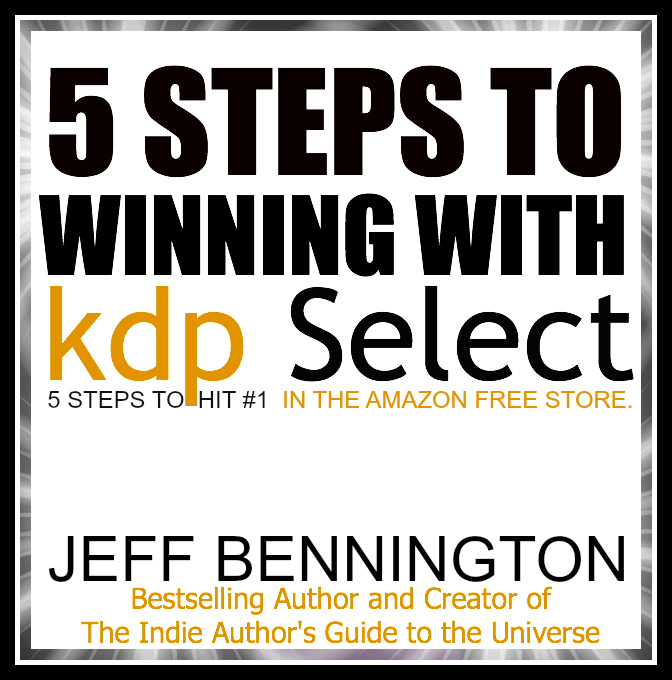 After working with KDP Select for over a year now, I've discovered what works for me, and I finally found the time to write about it. Yeah, I've been busy finishing my latest novel, The Secret Tree, and completing The 5 Steps book, to the detriment of my personal book marketing practices. But since you folks are my information springboard, I thought I'd give you a heads up on what I've learned about KDP--information previously unpublished. 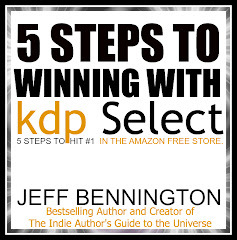 I recently published a new book called, Winning With KDP Select: 5 Steps to Hitting #1 in the Amazon Free Store. I want to give this to you because of your support and because you deserve to know what works. But I also want to give you a little piece of this book before you get it for FREE on Amazon. The following information is NOT part of the 5 Steps.What follows are a few basic tips taken from the book. Maybe you haven't thought about this stuff before, or maybe you have. Either way, I hope this helps. But if you really want to know how to hit #1 on your free day, get this book. It will be free March 31st - April 1st. There will only be 365 books that hit #1 in the Free store over the next 365 days... Will you be one of those authors? I hope so. KDP Select offers authors one of the best opportunities to gain new fans. How? By giving away your book and creating fans addicted to your writing or series. If you are not bringing them into your fold, you are making a big mistake. Be sure to include a link for your new fans to join your email list or Facebook page at the end of your book. Grab ‘em while you got ‘em, for tomorrow they’ll forget about you. A great site for FREE forms is jotform.com. There doesn’t seem to be any rhyme or reason to which day works best when running a KDP freebie, but I advise doing it at the end of the month. Why? When your book returns to regular price, you not only get the sales bounce that will hopefully come as a result of your giveaway, but you can also capitalize on the Amazon Prime customer monthly free downloads that are generally used when they are first available (the beginning of each month). Try a two-day giveaway first. If you promote heavily, two days should be enough to get you in the top 100, and will leave you with 3 more days to use over the next couple months. Remember, you only get 5-free days for every 90-day period. But lately I’ve been using a 4-day freebie schedule as long as I’m still in the top 20. I want to have good momentum for as long as possible. If you go "Free" for one day, and you did not promote heavily... you probably wasted that day. NOTE: Hitting #1 in the Amazon Free Kindle Store takes hard work and cash if you want to hit #1, but it is very much worth the investment from my experience (see 5 Steps Book). My goal for you is to hit #1, gain a TON of fans, and make some money afterward. If you want to hit #1, spend the money. You have to tell as many people as you can that your book is free. Lazy promotion brings lazy results. Heavy promotion brings BIG results. Ultimately, if you don’t hit the top 20 when running a free book promotion, you may have wasted your time and free days in terms of the final ROI (Return On Investment). The exception is when you need more reviews---which is another goal altogether. If you don’t spend the money on heavy book promotion, the resulting sales may be minimum. However, you will likely get some reviews as a result of the giveaway. If that’s what you’re after, then you may consider the promotion a success. If you want to make money, sell your other books, or grow your audience in a big way, you better plan to hit #1 and that's what the "5 Steps" book is all about. So what's the "so what"? The so-what is I'm giving away Winning With KDP Select: 5 Steps to Hitting #1 in Amazon's Free Store on March 31st - April 1st. So, go get it. Find out what it takes to hit #1. Find out what the best sites are for promoting your free ebook, and find out how you can reach a targeted audience with hundreds of thousands of readers. 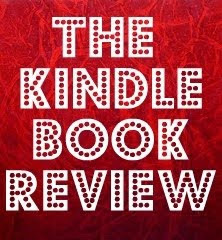 Then, write a review, share the book, and get it into as many of your writer friends hands as possible. 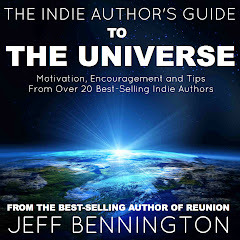 Jeff Bennington is the best-selling author of Reunion, Twisted Vengeance, the Creepy series, and The Indie Author's Guide to the Universe. Fantastic book, completely echoing my thoughts of late. I recently promoted my book using BookBub and managed to give away 40,000 books, hitting the fiction top spot. Post-free sales have been very nice indeed. Great book - highly recommended! Thank you, Ryan. Glad it helped. If you have time to post a review, I'd be mighty grateful. I have a quick question concerning what to do once your story has reached #1 in the Amazon Free Kindle Store. My short story, "The Werewolf's Mate" reached #1 on day one of its free promotion (under Anthologies/Short Stories)and stayed there for all five days of its promotion. I was just wondering if I should add that fact into the product description on Amazon. Would that be appropriate? Thanks! There is more than one answer to your question. 1.) Nothing inappropriate about posting that you hit #1 in the free store, but be sure you do not mislead readers to think you were #1 overall if you were only #1 in your category. 2.) I've hit #1in the free store with 3 of my books and I do not publicize that because I don't see how that makes any difference to readers who are willing to buy my books. You'll find that there is a free audience and an audience willing to buy your books and a third group who go both ways. The later two groups probably don't care if you hit #1 in the free store because if they think your book looks good, they'll get it either way. They care more about reviews, and the cover, and your blurb. Price is secondary to the buying public, so claiming that you hit #1 in the free store isn't limey to get you more buys... imo. 3.) The best thing to do "after" a successful "free promotion" is to already have lined up some paid promotion to run a couple days after your free run--Plan at least 2-3 weeks in advance. This will help spin you back up after you re-enter the paid store in addition to what Amazon does on its own. Sites that work on a shorter notice are World Literary Cafe, Bargain Booksy, Harvey at Kindle Boards, Jim Kukral at Author Marketing Club, The Kindle Book Review.... You can usually get an ad running at these places fairly quickly. 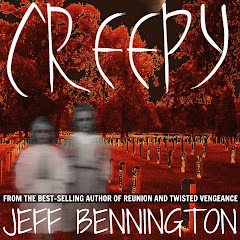 As always, cover, reviews, and blurb make a huge difference in how well the market receives your book. Some books, no matter how well written, will never hit #1 if they miss the mark on these important points. Thank you for the advice! It helps a lot. Still got a lot to learn I guess. Thank you for taking the time to help me on my writing ventures.